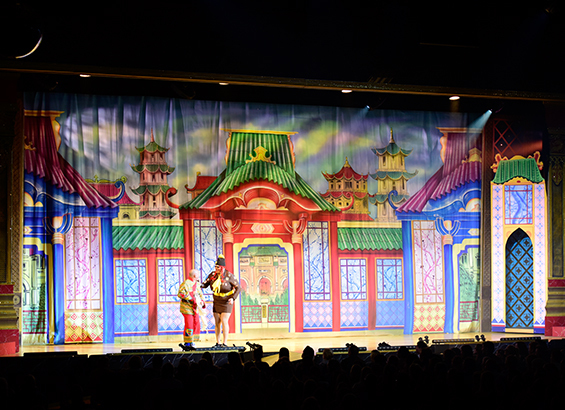 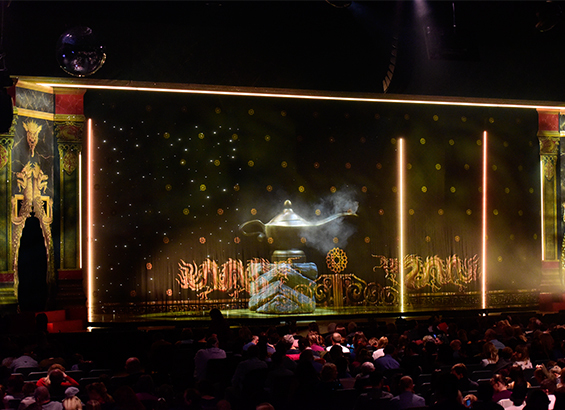 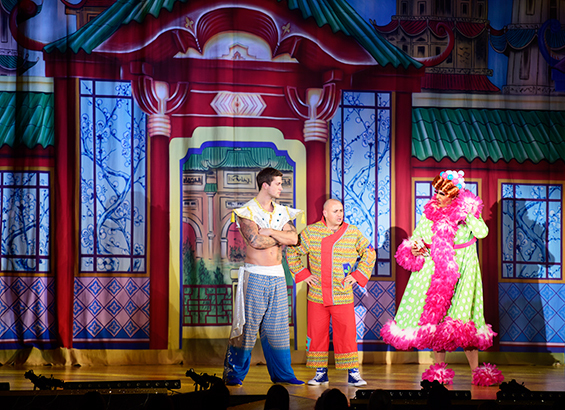 A brand new set built for the PHAs Production of Aladdin at the fabulous Derby Areana. 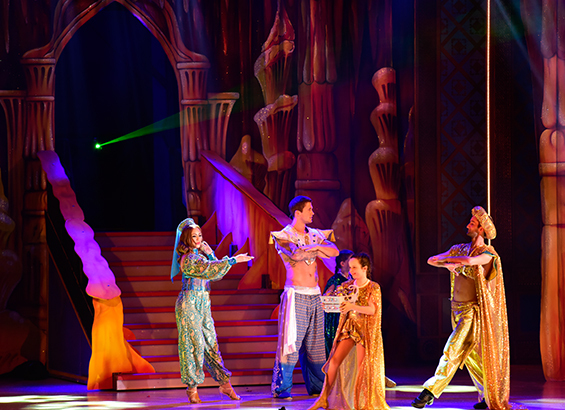 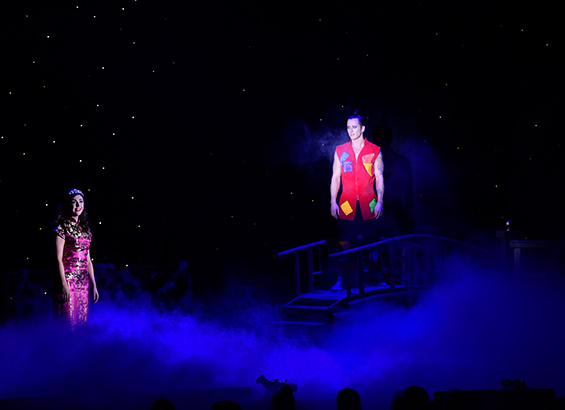 If you're a fan of pantomime, then you can't go far wrong with Derby Live's all singing, all dancing production of Aladdin. 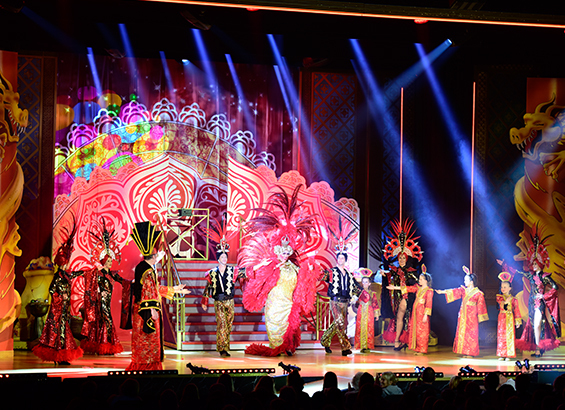 There has been a real buzz of excitement around this show both in the city and among theatre circles throughout the UK. 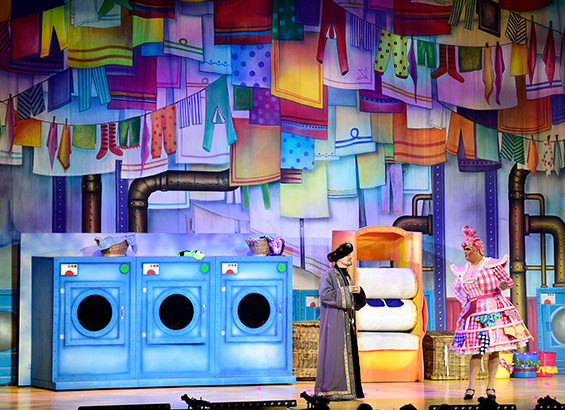 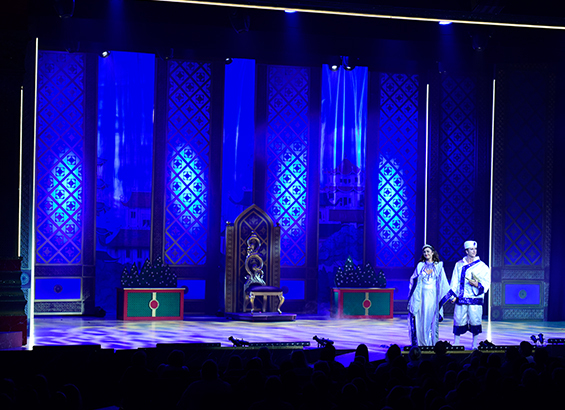 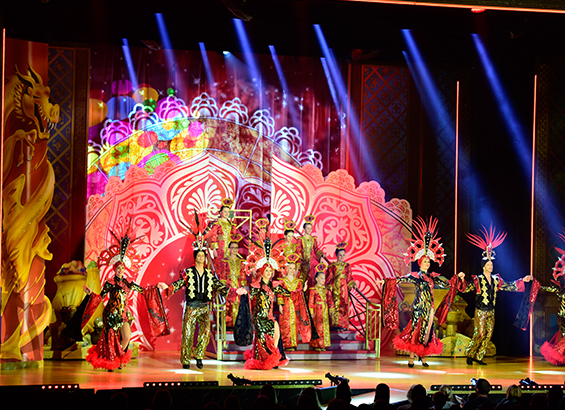 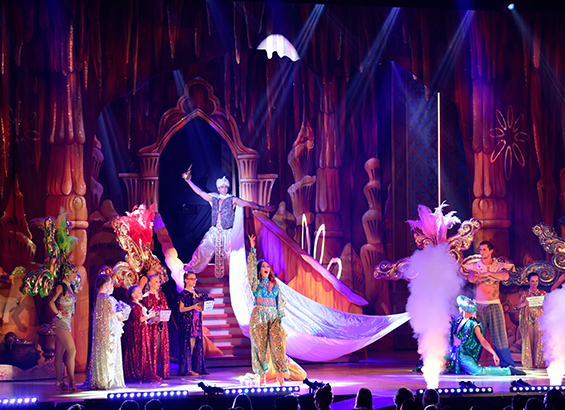 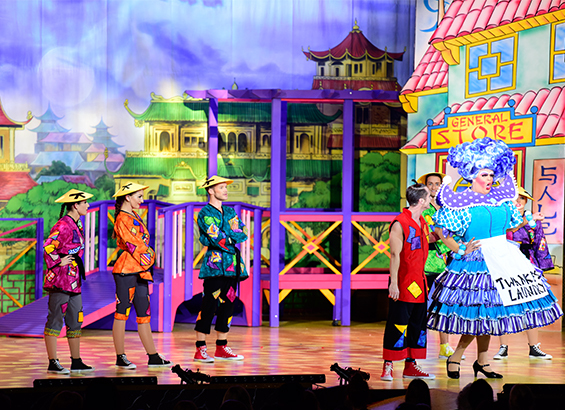 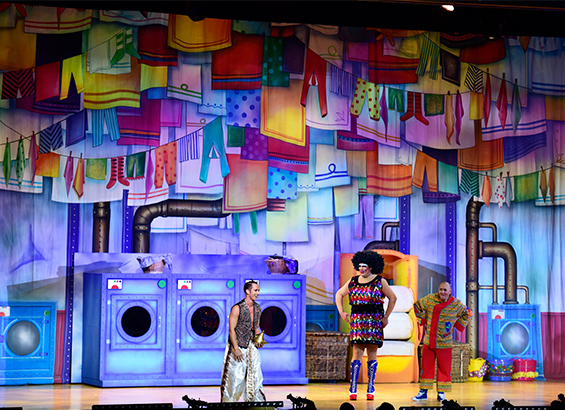 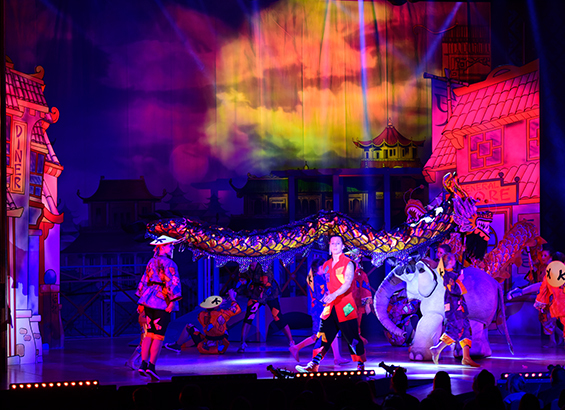 As well as being the first panto ever to be staged in an Arena; all the stops have been pulled out to make sure it lives up to its promise; an all-star cast, amazing scenery, fantastic costumes, beautiful lighting, lots of humour and some enviable singing voices.